Queen Elizabeth II is taking heat for her annual Christmas message she delivered Tuesday from a lavish room at Buckingham Palace decorated with an ornate Christmas tree, large fireplace and a golden piano. Viewers accused the Queen of appearing “out of touch” in the video as the British people worry about Brexit and its potential effects, reported British tabloid The Daily Mirror. But some who listened to the Queen’s words did not find them appealing and especially resented the golden piano in the background. “Privileged wealthy hereditary monarch bunged £76m a year, sitting in front of a golden piano in the palace she’s billing taxpayers £369m to tart up, kills satire by lecturing the nation to pull together,” wrote Daily Mirror associate editor Kevin Maguire on Twitter Wednesday. Scottish National Party politician James Dornan attempted to satirize the Queen’s message Wednesday. “So sad all those people going to foodbanks and sleeping on the streets. So to cheer them up I suggest we gather round my gold piano with a rendition of My Old Man’s a Dustman. That’ll take their mind off the cold and hunger for a while. Do you see how hard being Queen is now?” he wrote on Twitter. But others rallied to defend the Queen. “Why doesn’t the Daily Mirror blast Kings in the Middle East as ‘out of touch’ when they flash their ‘golden’ lifestyle around? Also, I don’t remember them writing about Saddam Hussain’s golden toilets. She’s the Queen, our Queen. Lovely Piano your Majesty. Merry Christmas,” wrote Imam Mohammad Tawhidi on Twitter Tuesday. Why doesn’t the Daily Mirror blast Kings in the Middle East as “out of touch” when they flash their ‘golden’ lifestyle around? Also, I don’t remember them writing about Saddam Hussain’s golden toilets. “This Queen gave me everything Islamic Governments took away from me and my childhood: Education, safety, medicare, an honourable life, etc. Of course I love her,” Tawhidi added. The piano that caused such a stir was an heirloom from Queen Victoria’s reign, reported The Daily Mirror. 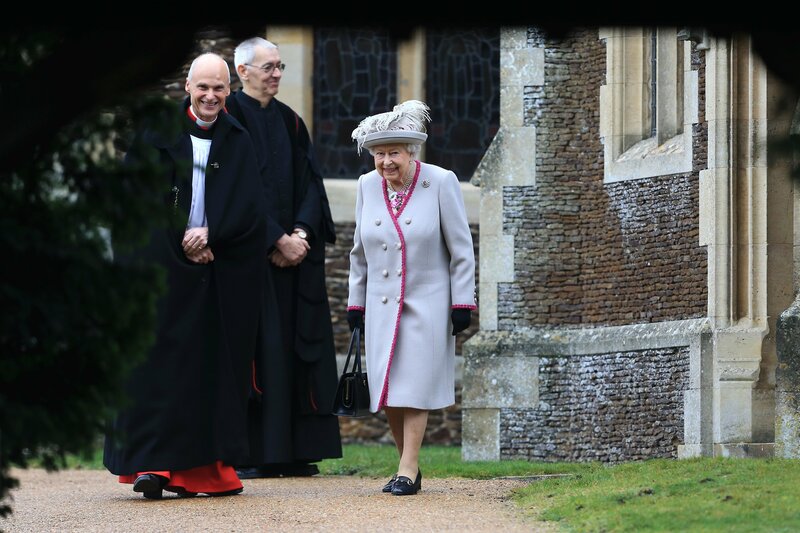 The Queen also discussed her family’s busy year, including the wedding of Prince Harry and Meghan Markle, in the Christmas Day message. The Queen’s message came just a few weeks after Prime Minister Theresa May survived a letter of no confidence from her government over her handling of Brexit. Tensions between the U.K. and EU were extremely high in September when the EU shredded May’s government’s Brexit plan. The complications prompted former British Prime Minister Tony Blair to call for a second referendum on Brexit.